Money Management Blogs Begin - Join me! Welcome to the latest post on good-girls-guide.co.uk. As you will see, I have started a new blo page about Money Management - beginning with 30 days to Money Management. I began blogging a few years ago as a means of practicing writing skills on blogger.com, before becoming drawn into the world of internet marketing. At the time I thought it was the ideal way to develop some practical online marketing skills, as my marketing degree didn't cover online or digital marketing. While I enjoyed writing and blogging, I found the technical sides challenging and found myselfbeing pulled into many online marketing 'training systems' many of which had an air of 'get rich quick' scheme about them. As I was originating from the Seth Godin school of 'Bootstrapping', I had limited myself to a maximum spend of £50 a month. While I regretably exceeded this budget, only one or two occasions, I'm glad to say it's a principle which has kept me grounded, but not without loss. Now we would all love to be wealthier wouldn't we? But often we are drawn into the belief that we can do it with little or no effort with the term 'Passive Income' often thrown into the sales pitch. As soon as you hear that you should activate your critical mind or turn and walk away. If someone wants you to invest money into their business or system, approach it as a bank or formal investor would. Chances are, that if it's presented as a work at home, part-time business or investment, you are buying yourself a low paid 'job' with excessive hours. Rarely will it ever be something you can do alone or withthe skills you already have. So on the Money Management pages, I shall be focusing on getting finances in order and developing the mindset and methods for maintaining wealth. Join me on youtube and subscribe for video updates. If you are a company large or small - you are at an advantage to your competitors if you can include a blog on your site. Consider inviting guest bloggers to write articles, if you feel you can not provide enough original content to your site on a regular basis. Short blogging articles also work. Master of this is legendary blogger and permission based marketing expert Seth Godin. He creates very short short articles and emails them to you once you have signed up to his daily blog alerts. The articles are usually associated with his area of expertise. I'm Coming Back! with PASSION! Hello all! It's been a while since I have added content to this site, however as the audience continues to grow, it's only reasonable that I give you all some fresh content! I have been working hard and having several sites and blogs to maintain, I have neglected my favourite and first blog. I realised that there were several people (including those who I personally know) have been learning from this site, yet won't admit that I have helped them out (You know who you are, and so do I! Yes I have seen your sites, blogs and instagrams) .... so it's time to get back to the grindstone and do what I enjoy, without giving away the gold. I have continued to learn several internet marketing strategies and some have performed exceptionally. There is so much to learn in interent marketing that it is inevitable that you will feel overwhelmed and begin to lose focus and control. So in May 2014, I attended David Lee's Event in London, Passion 2 Profit, for entrepreneurs and business owners who need to systematize their marketing. 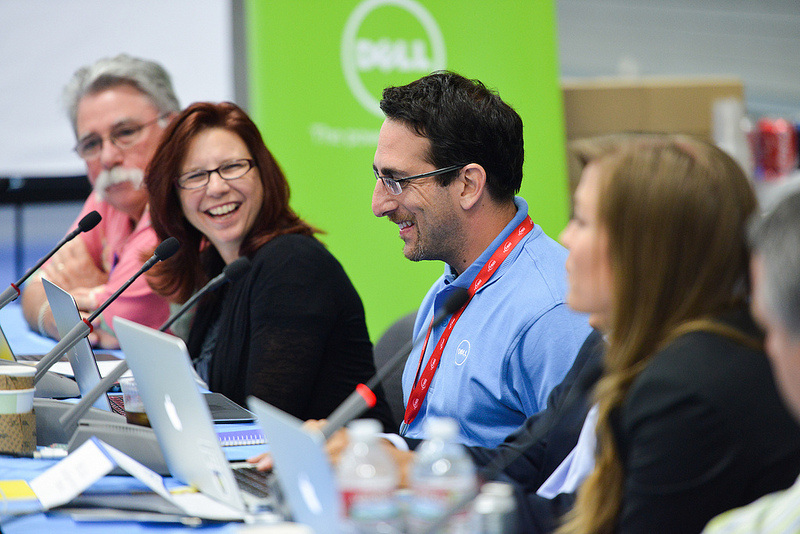 I attended with the aim of exploring what it is, or was, that I am really passionate about. I began to reflect on my 'passions' even before I arrived. What was I really passionate about? I had spent the last few years burning the candle at both ends learning internet marketing to add 'practical' and 'modern' marketing strategies to my marketing degree qualifications. I got involved in a MLM (network marketing) business as a means of modelling the strategies I was learning, only to find myself more deeply embroiled with it than I had intended and felt it was more detrimental to my credibility and reputation, than the 'practical value' I was extracting from it. My time was split between too many camps, with the passion and committment to make just one of them succeed being split unevenly between them all. I was experiencing the pendulum effect. As one area received all the energy, the knock on effect left the others feeling the refered impact. In the end, the energy dissapates and everything stops. The event taught a great blend of 'offline' and online marketing strategies as well as giving us opportunity for personal reflection on our vision, dreams, motivations and inner values. The weekend involved the use of visualisation, video learning, role play, reflection and humour. It also provided all attendees with a great opportunity to network with other like minded individuals who wanted to produce their own product or service or even just enhance their personal selling or marketing techniques for their investments. David provided a broad range of advice on image management, seminar development and sales, in addition to presentation, video production and public speaking techniques. Why are these techniques important? Social media can often be paraded as the easy way to 'sell' and promote yourself or your products, while internet marketing is promoted as a channel for generating an 'autopilot income while you sleep'. The reality is, that it is much tougher than that, and promises of easy money are often greatly overated by those trying to sell us something. You will grow weary and mistrusting. It is especially difficult for those more introverted by nature, looking to anonymously build an online income. The most important factors in building trust and developing customer interaction, encouraging buying decisions and building brand loyalty, are the verbal and non-verbal messages you present to a potential client or customer, often even before they have met you. The social media is a means of supporting your values, be they personal or organisational, and allowing customers to begin to align themselves or their aspirations with you, your brand or the lifestyle your brand or products represent. By doing this, you are fostering brand association. 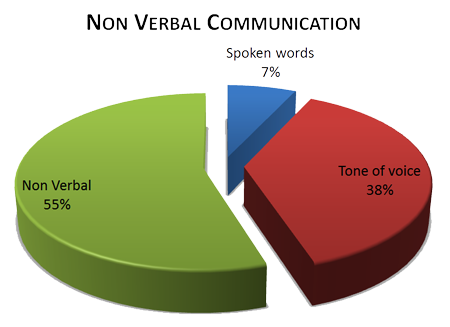 So how do you convey your verbal and non-verbal messages? You are probably already familiar with this pie-chart depicting how much influence our non-verbal gestures convey. The biggest influence in communication are the things you DON'T say; your body language and gestures. Passion2Profit identifies techniques that you can use to add greater positive influence in you nonverbal communications. If you have ever visited a hypnotherapist or listened to a surmon, a great speaker or an unforgettable advert, you may not realise that there were two distinct strategies for helping people encourage their unconscious minds to change behaviours. There is the use of direct suggestion - telling them what's wrong, why and what the alternatives are, or secondly, by the use of indirect suggestions, which include the use of storytelling, also known as metaphors. Metaphors have a way of slipping past the conscious mind and relentlessly sticking in your head wanting to find meaning, expression and value - even when it's completely illogical and meaningless! Psychologist and literary writers call this the 'Power of the Narrative'. We are all conditioned to look for 'the meaning', 'the happy ending' or 'the resolve' in a story. How does it all end? As a hypnotherapist myself, I favoured direct suggestion, however, for many clients the use of a nonsensicle or unrelated story, would often work like magic on their unconscious minds. It just stops their anxious train of thoughts, in their tracks! Therefore, if you want to increase your influence and persuasion skills, increase the amount of stories and metaphors you use in your everyday interactions, in social media, your marketing and in your selling process. David Lee's program is derived by an American hypnotherapist, Joel Bauer, who has sold best selling books on persuasion and influence techniques, and the Passion2Profit weekend touches on story telling, client testimonials and persuasion techniques. Get to David Lee's Passion2Profit event this year! To attend David Lee's weekend event and learn to profit from your passion with his techniques, visit his website and purchase his book, which will pay for your access to his event. The next event is due in October 2014 and I would encourage you to attended and enjoy yourself! Take a long weekend off and pamper yourself in a superb location by booking into the hotel too! It’s always refreshing to see new strategies to make money online. However, the majority of the time I’m pretty disappointed with the results. When I was recommended to buy Google Sniper 2.0, I thought it would be another system that just left me disappointed, but the proof and success stories tipped me to buy it. A quick Google search for testimonials and by watching the sales video it was clear that this system has worked wonders for other people, and it’s actually generated the most online success stories than any other system/course to date. It was a no brainer to give it a shot personally. At the time in my Internet marketing journey, I was pretty lost as to what road to head down. Google Sniper 2.0 really outlays the basics, from picking a niche, choosing keywords, buying a domain to setting up a wordpress website which will generate passive income online. It’s an extensive guide, but it’s easy to pick up (the walkthrough videos by George help also). I studied the strategy pretty extensively to start with, and created my first “Sniper” site the next day. I was pretty excited due to the success stories, but still had that common doubt that it would be another blowout. I made my first bit of commission two weeks later after setting up the site completely. It wasn’t a huge amount but it was something, and that was the trigger to skim through the course once more to see if I could improve my site in anyway. The site in question started to generate me a tidy amount of commission, and still generates on average $375 a month (on autopilot). The best thing about this course is alongside earning a nice income each month from this system on autopilot with no traffic generation, it’s also an extensive guide into niche research, finding products to promote and how to set up your own website. Yes, it may need to be read through a few times, but believe me... It’s worth it. This week (May 2013) I made my first face to camera video. Like many other people, it felt a little unnerving, but after several 'takes' I began to feel a little more comfortable. Unfortunately the camera which I have been using, which I had bought for around £60 two years ago, began making a high pitched noise much to my disappointment. However, I perservered and edited and uploaded the video regardless. Not because I don't care for my audience, but because I didn't want to 'wait for perfection' before I pursued my goals. Often many of us don't progress because we are waiting until things, people, opportunities or circumstance are perfect, neglecting what could become a perfect opportunity to learn and grow or develop a weakness into a strength. This year the internet started to pay me for my contribution to the community. Watch the video to learn how. I have been learning internet marketing for a few years and remained frustrated at the lack of rewards for my hard work, long hours and sacrifices. Then last year in Decemer 2012, as I considered quitting, I had an interaction which lead me to finally tapping into a small but satisfying stream of income. I had realised that I have 'lost' that income throughout the year previous due to a small ommission. As the weeks progress, I intend to blog or video my progress on how I intend to grow my small acorns. You can join me and follow along. Subscribe to the channel, the blog and submit your details to remain updated. http://www.izettle.co.uk -izettle site to order your card payment device. iZettle Card Payment System Review : IZettle is a card payment system which can be used by business owners or the self employed, such as therapists, hypnotherapists, plumbers, decorators and electricians who need secure payment devices which allow customers to pay by card and allow business to send a reciept via email as they develop a database of customer emails, enabling them to offer further infomation, offers and services. It cost just £20 from http://www.izettle.com and can be used with android phones, iphones and ipads. You will also recieve a coupon to redeem your £20 with your transactions. There are no ongoing cost, just a fee of approximately 2.74% per transaction. It is ideal for small businesses who want to keep there costs low and has the advantage that it is also a small portable detachable device that can be carried when you visit you customers or clients. There is no monthly fee to pay, instead there is a fee of 2.74% approximatley for each transaction. This is ideal if your clients only make occasional payments via card or your sales prices or fees are generally low and you can therefore find it difficult to justify the regular monthly payments charged by other card processing companies. Visit www.izettle.com to obtain yours. So you think you need your own website? Where do you start and what will you need? Over a short series of articles I will tell you about the very basic of equipment and services you will need to begin your online business - or to get you current offline business online. But I shall come back to the question 'Do you need a website?' later. In the meantime, if you think the answer is 'yes', proceed. If you already have a business and you operate under a business name, you will need to check if you busines name is free and available for your use as a domain name. In order to do this go to godaddy for example and type in your business name to check it's availability. If you are American you can go with a ".com" or if you are english you may prefer to use a".co.uk". They help to identify where your company is based. Charities tend to go for ".org" or ".org.uk" but more details are on the godaddy website where several other suffixs are available. Alternatively you can register your own name as the webpage. It helps if you have an unusual or distinctive name. Are you local, national or international? You will of course need a reliable computer. It doesn't have to be equipped with all the latest gadgets, but that may help, especially where speed is concerned. If your strategy is to create a simple website and then market your local business offline with leaflets then a basic site providing information on your services, qualifications, skills and contact details may be all that you require. There is no need to overcomplicate your site if you are only able to service your clients locally. If however, you are in a business that requires national or international exposure, then the demands of your time, energy, financial resources and the expectations of your potential customers may be far greater, from your website and your internet marketing activities. Why? Because your website is their to validate you and your position in the market. Clients/customers will proactively search on line to find out about you and your business. they will actively seek out a website and look for reviews if applicable, of your products and services. Of course, domain name registrars will expect and encourage you to buy hosting for your website. If you are experienced in using hosting sites, then go ahead. However, this site is created by a site which provides simple drag and drop facilities, templates and instruction videos, which I feel more comfortable using. You can forward your details via the contact for if you would like further details. In addition to a name for your site and a reliable computer, you will need an internet connection (broadband) and either a notepad and pen or Word on your computer. Why? Because content is where you start. Content is why visitors come, and content is what will keep them coming. Content, as they say, is King! and brainstorming is your next activity. Get your ideas on paper or on a word document. Go to the article on finding a niche. Begin exploring what assets you have that you can or want to promote or use - be they tangible or intangible. What skills do you have that you can make more profitable use of? What items are hiding in your cupboards waiting for you to use productively? Do you have objects that you can sell on to someone else? Do you have knowledge that you can sell as an ebook, video or audio course? Brainstorm - and feel free to share it in the comments box below. Like this on Facebook if you know someone who will benefit from this. So you like what you see on a website or blog, but you are also fully aware that your reliably fading grey matter - isn't what it used to be - are you are prone to forgeting the wonderful name of that niche website you stumbled on. Yes you can add it to your bookmarks - and hope to find it among the 200 other websites. Alternatively, you may have been wondering what that logo was in the corner of the page that keeps popping up. 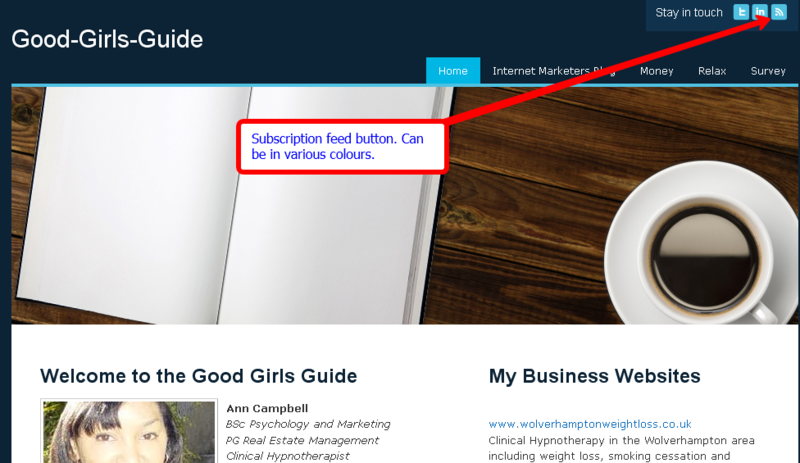 That is the newsfeed logo, which can be in a variety of colours, but is useful for subscribing to favourite websites (like this one), so you can keep updated of new blogs, news or web updates. You just point and click and its in your stream. Now you're a 'Number One Fan' and your Misery of trying to remember over 200 sites, is over. How do I find the sites to which I SUBSCRIBE? This is where you will find the drop down menu with the "bookmarks toolbar" in it - follow the tiny triangle/pointer and your all subscription feeds will show up. You will easily find the sites, blogs and newsfeeds that you have subscribed to. It will also show the icon again. Don't forget to subscribe to this one. Online or Offline Learning? Why not have both? If you want to learn about creating webpages you have a variety of means of achieving this. You can learn offline at college, from text books and magazines or through online training companies to whom you pay a small monthly fee to access the members only library of videos and articles. You can also access support and feedback from your tutors in person (offline) or through online support systems. A few years ago at university, online learning was a brief session in a Psychology of Decision Making lecture where a researcher discussed whether it could be a learning forum of the future (it was only 2005). I enjoy both learning styles and they rarely disadvantage you these days. I first began formally learning about webdesign and webhosting in 1999 as part of a community centre website launch geared around the Millenium. They had recieved funding for the website and as a selected member I joined the team to learn about HTML, FTP and content design and research. We spent several weeks learning about HTML and how to design the website. The learning environment was coorperative and we all brought our strengths and skills to the team. We gathered information, interviewed local charities and organisations and took digital photographs of the community. We wrote our articles and created the content. There was a member of the team who decided that he would take responsiblity for the FTP (File transfer protocol) making it seem extremely complicated and fearsome. He informed us that we may risk destabilising the website if we all did it ourselves, as we had been taught. Instilled with the belief that we shouldn't mess with or mess up the website, everyone backed off. In fact we backed off to such a distance that the project became very fractured and later faultered. No one can learn or progress under those conditions in any field of pursuit. You will find in IM that there are people who genuinely want to help you, while others are just there to help themselves - to your money. Take the advice I was given at a recent networking event by a respected investor - don't purchase anything for at least 6 months. You will soon sort the men from the greedy, spoilt and bad tempered boys! If your intentions are to learn about internet marketing at your own pace and within your own budget, then I can guarantee that you will be able to find a style of learning to fit your needs and preferences. I didn't forget what I had learnt in 1999, however HTML is hard work, so I used simple and effective templates for years for my business site, which provided enough information for clients to find and book my services regularly. I incorporated additional sources of income to that site also, but knew nothing of the additional skills of driving traffic and using paid adverts. It still worked though. I was top of the search engines for that local business and clients found me. Later, I moved on to learn about webpage design again at a local college. You may be able to find a local weekly class in your community college that can fit within your schedule. If you are unemployed, on low pay or on benefits (in the UK) you are likely to find that you are entitled to waived or reduced fees for your course. There is so much free, quality information available on the internet, that you can feel free to ignore those wanting your credit card details for 'advice' for a long time. Your local library also provide ample resources for learning material on internet marketing. At some point you will need to read, watch videos, join webinars and practice. Create time for this. During the time of my college course, I attended a half day writing course and was introduced to blogging as a means of developing the creative writing habit. You can create a blogging space for free with blogger.com and wordpress. They offer space for airing your views, ideas and sharing your creative or recreational interests. After completing my college course in 2009, I intended to follow on and again relearn the FTP skills and other software for webdesign. However the exam coincided with my operation, and I was told I couldn't do the course unless I entered the exam too! Following my operation and during recovery, I was informed the course had been removed from the college syllabus, and that's why I began learning online at home while convalescing. Live conference calls can be interactive although you may not be able to make a vocal contribution to conference calls, as you can during live lectures. To get invited onto a conference call/webinar, you will usually have visited a website and submitted your email address. Subsequently you will receive a series of emails and often will get your invitation as a 'link' in the email which allows you to register for the online conference call. Often the calls/webinars may consist of a recorded vocal message, a power point presentation with a voice over, a live presentation with power point slides or a demonstration/video during which you can type questions in the interactive area or if you are given permission can ask your question via a phone or headset connection. Online membership sites are a fabulous method of learning internet marketing. For a monthly fee, you can access a library of PDF's, videos, conference call, MP3's and support to learn everything from content creation, creating a website, template use, search engine optimisation, keyword searches, traffic building strategies and developing various income streams from your website. If you are new to internet marketing, it is one of the best places to invest your money by spending a small monthly fee and then have 24 hour access to all round training. I have to say, I immediately stumbled onto two of the best training sources I have used over the last two years, however these days, if I had found the kind of software I now use earlier, I would have been months ahead with a simple website concept, but to my additional benefit I have learnt so much about the many various ways of generating income, supplying products and creating traffic, that in time, the long route around will have been worth the journey. I only needed a simple website, but these days in the competitive internet market, it is useful to know more than you need, in order to maximise the strategies that you know well. So, just like many university students who has invested thousands in their education, once you have a good general overview of your topic, you will then find an area of internet marketing that you can feel comfortable using.